Meet beach goddess Maria and revel in the summer sun. 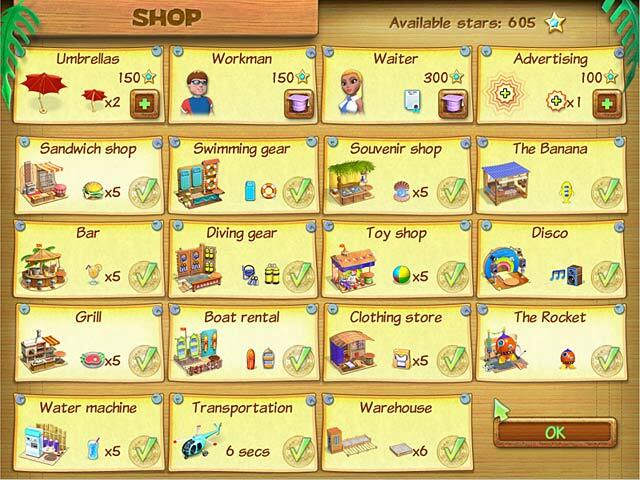 Earn cash by tending to other sun worshippers and managing their every need. 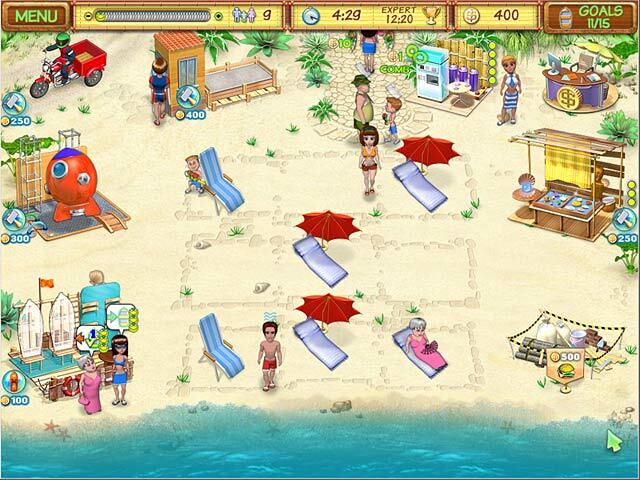 The sand and surf are your domain as you serve food, drinks, and stock the nearby souvenir shops. Interact with ten types of sun-kissed clients while conquering seven mini games in this Time Management tanning session. 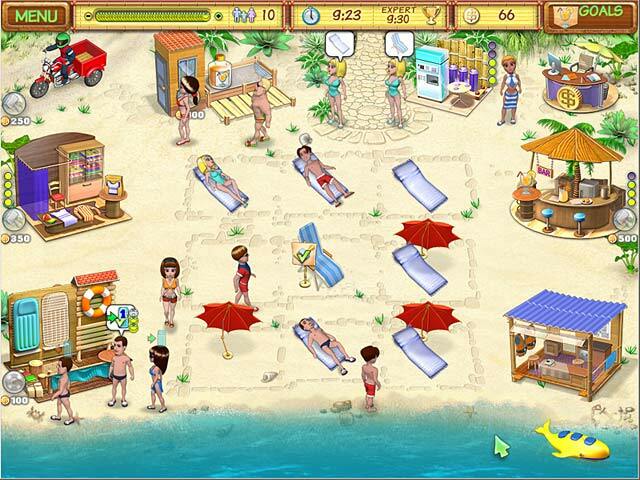 Catch the Beach Party Craze with cool calypso-style music in 50 levels.